In September, P&O Cruises announced plans to launch a new flagship, due to become the largest in the fleet and the largest built specifically for the UK cruise market. Now, the line has announced what cruise fans should expect to find aboard the massive new liner which will take to the waters in mid-2020. With a large clear sky dome, half-mile promenade deck and an outdoor pool with retractable stage, P&O Cruises are investing heavily in the exterior sections of the ship. Recognising that passengers love to feel the sea air wash through their hair, the cruise ship’s design team have decided to ensure that all passengers feel “connected to the sea”. 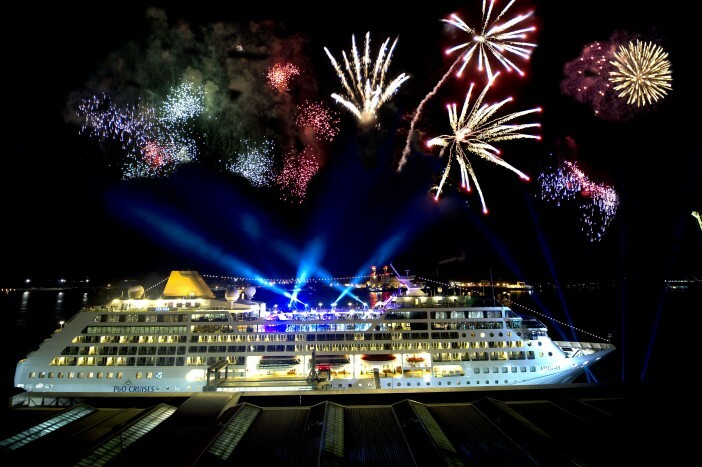 Carnival UK (who own P&O Cruises) CEO, David Noyes, revealed the line’s aim for the new cruise ship at an event in London last week. He said: “We’ve listened to our guests and we look through every piece of feedback we get and the overriding message was – we want to be connected with the sea. This effort to bring the outside, inside will be immediately recognisable for guests boarding the ship thanks to the triple-decked glass panels which will fill the atrium with natural light. Furthermore, the massive clear sky dome positioned on top of the ship will also serve as one of the main entertainment arenas for guests – against skewing the distinction between the ship’s interior and the outside world. Foodies had reason to rejoice during the reveal as well, with the news that the ship was going to feature 17 on-board eateries, including seven speciality restaurants. UK cruise fans will certainly be spoiled for choice when it comes to dinner time. An additional 12 bars, 13 entertainment venues, four swimming pools and 16 whirlpools can also be found on the as-yet-unnamed ship. With a capacity of 5,200 passengers, the new ship will be considerably larger than the 3,647-capacity Britannia, which is currently the line’s largest vessel. And as we revealed in September, P&O Cruises are turning to their passengers to pick a name for the upcoming ship. If you can’t wait until 2020 to enjoy the luxuries and British charm of a new P&O Cruises flagship, why not book a trip aboard the Britannia? Check out our dedicated Britannia page, or call our friendly sales team on 0808 274 6777 for a full range of deals. P&O Cruises has announced what cruise fans should expect to find aboard their massive new liner which will take to the waters in mid-2020.